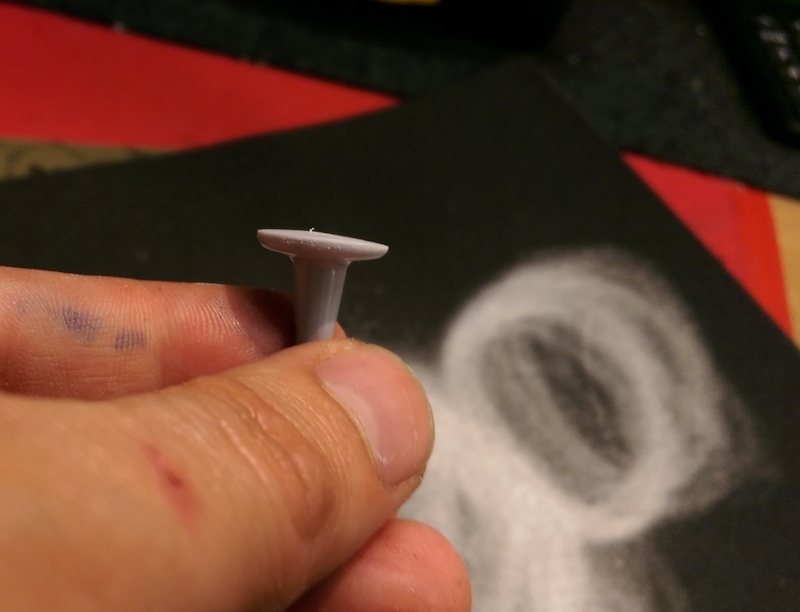 Everything should be easy to find at a hardware/DIY store, although I’m not sure if it’s easy to find metric drills/taps in the US? 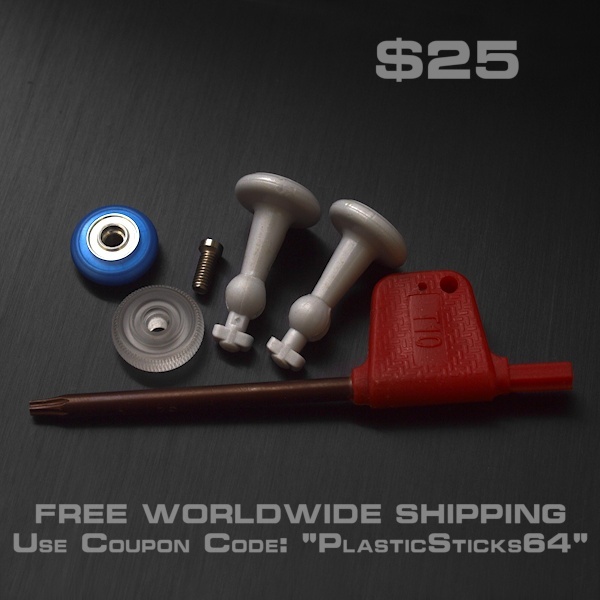 This stick mod is not reversible and there is a chance to destroy the part completely so please test the whole process on a bad stick first and make sure you’re comfortable with all the steps before you attempt it on a good one! Requires power tools and drilling with fingers in close proximity to the bit so please be careful! 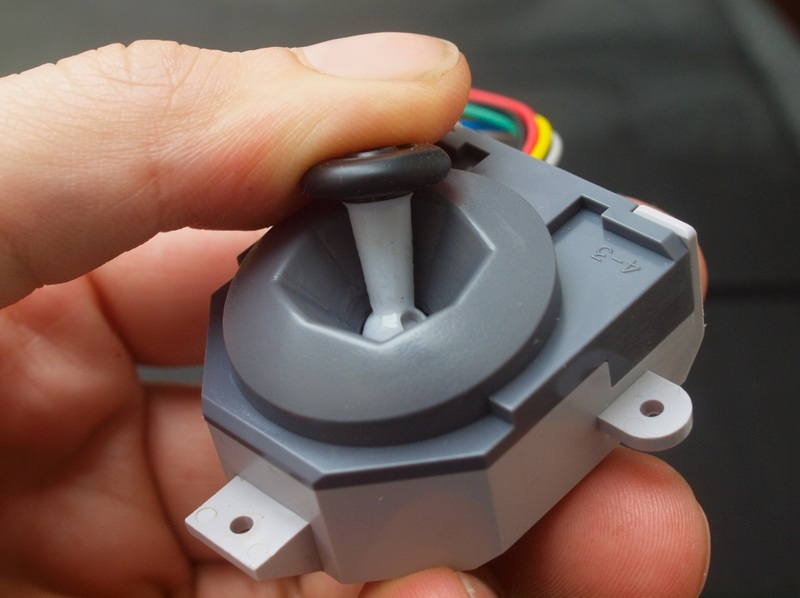 I’m going to assume most of you who are thinking of tackling this mod are very familiar with the inner workings of an N64 joystick module. So I’m not going to reiterate how to disassemble one in detail. If you are interested in brushing up on a few details before you begin, there are countless youtube videos on the subject. 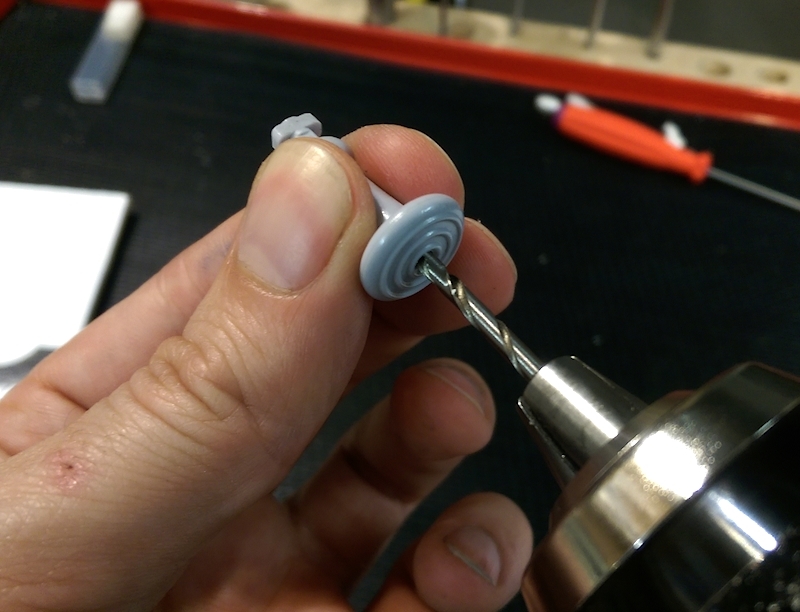 This mod does require taking a module apart and putting it back together again at least once, so getting comfortable with this process would be a good idea before you begin. The goal here is to drill a hole in the center of the stick body and to cut some threads for the Cap bolt to later thread into. 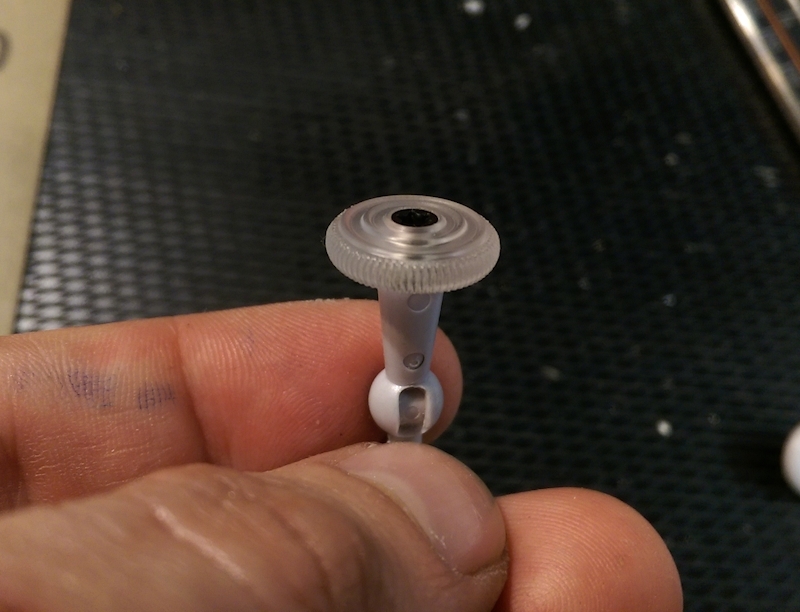 Thankfully the little divet in the middle of the thumbcap acts as a pilot hole so it’s almost impossible to start the drill off center. That said there is still a potential for drilling the hole at a wonky angle. I was holding onto the stick firmly in one hand and operating the drill in the other (as shown below). I found it surprisingly easy to keep things centered like this so I didn’t feel the need to come up with a more complicated method of holding things. 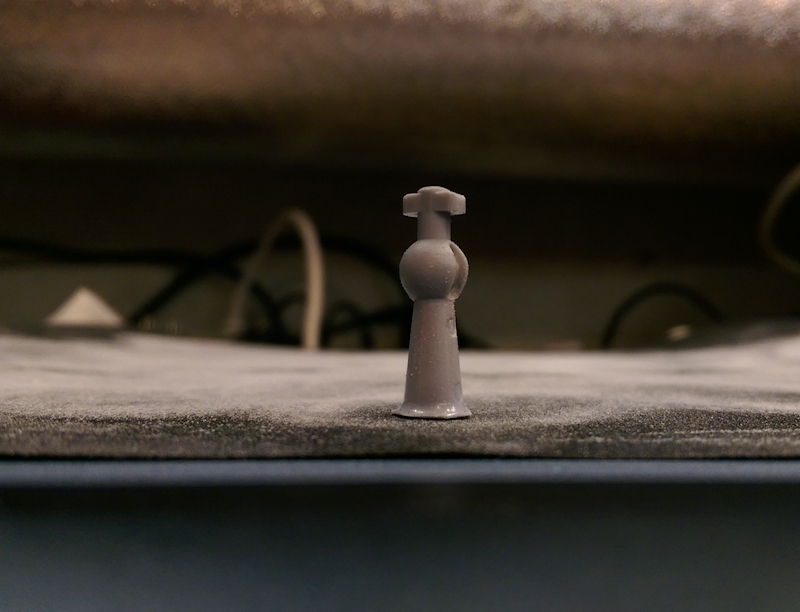 Try to line things up as best you can before you start drilling and stop once the drill has gone a few mm into the cap. Let go of the stick and let it spin in the drill chuck. If the hole is being drilled at an angle the stick will not run true and visibly wobble. If that’s the case simply apply some counter pressure on the stick to correct the drilling angle and keep going. Re-check to make sure things are running fairly true as you go. Cutting the threads is next. 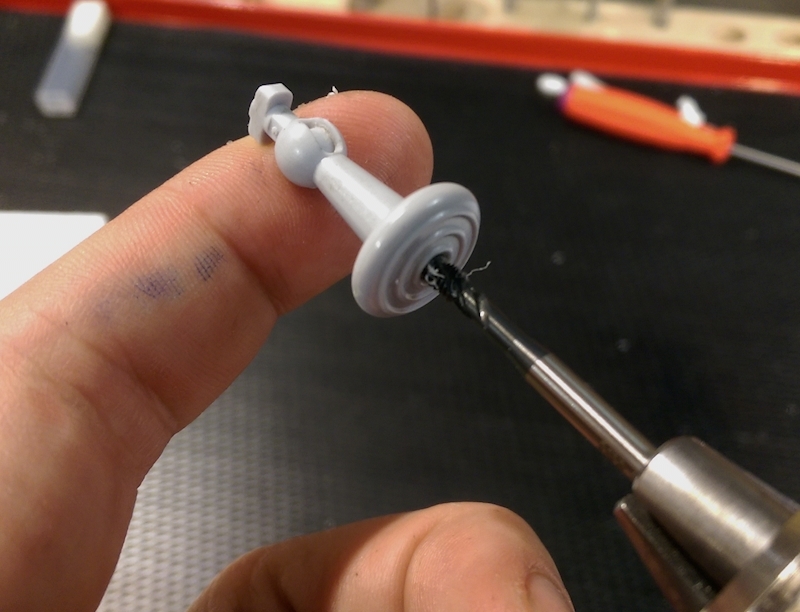 I did this the same way with the M3 Tap in the drill chuck. You can also turn the tap manually if you have a tap wrench. Run the drill very slowly and let the tap feed itself into the hole, stop before you hit the bottom and reverse the drill to thread the tap back out. Congrats the trickiest part is now done! 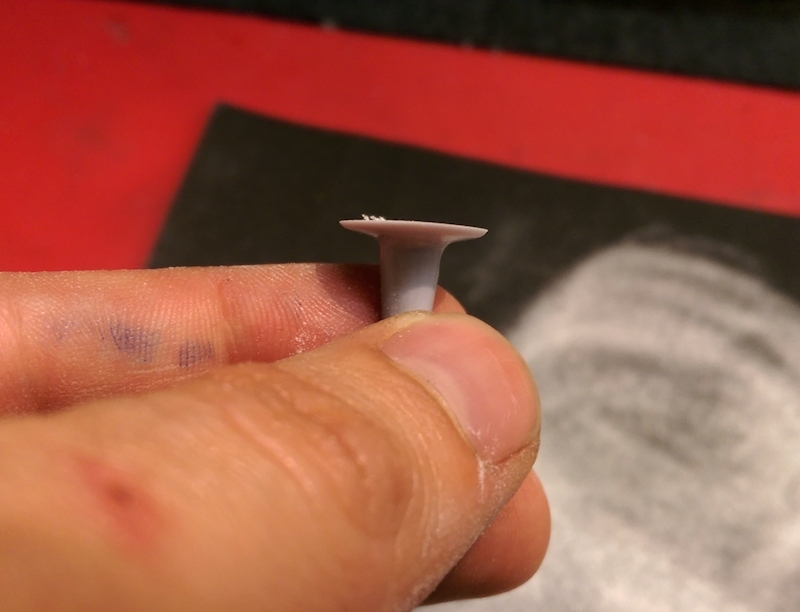 Now we need to remove all that excess plastic from the top of the thumbcap. A simple hacksaw job won’t work since we need all of the stem below the cap. There’s lots of ways of doing this but the simplest is just to get yourself some 240 grit (or rougher) wet/dry sandpaper and got to town! Nice and clean to begin with! 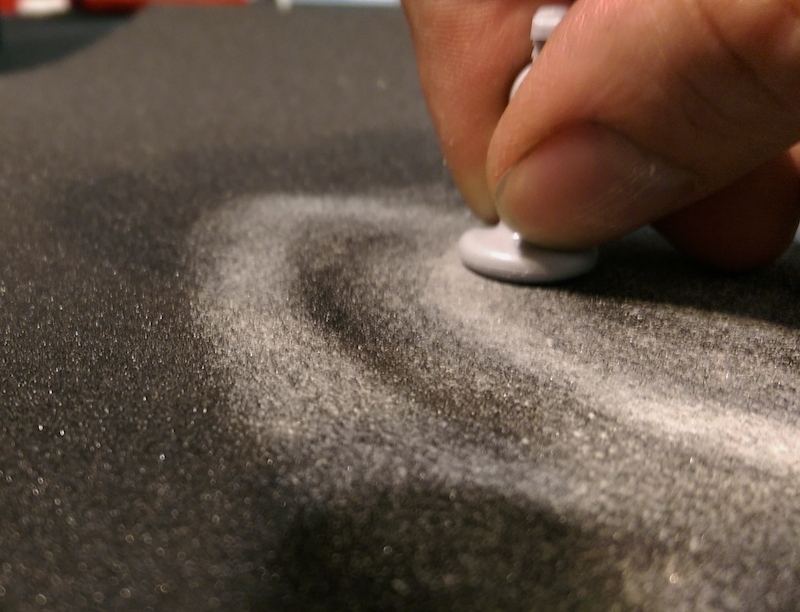 At this stage you’ll want to make sure that the sanded surface you are beginning to create is nice and flat. 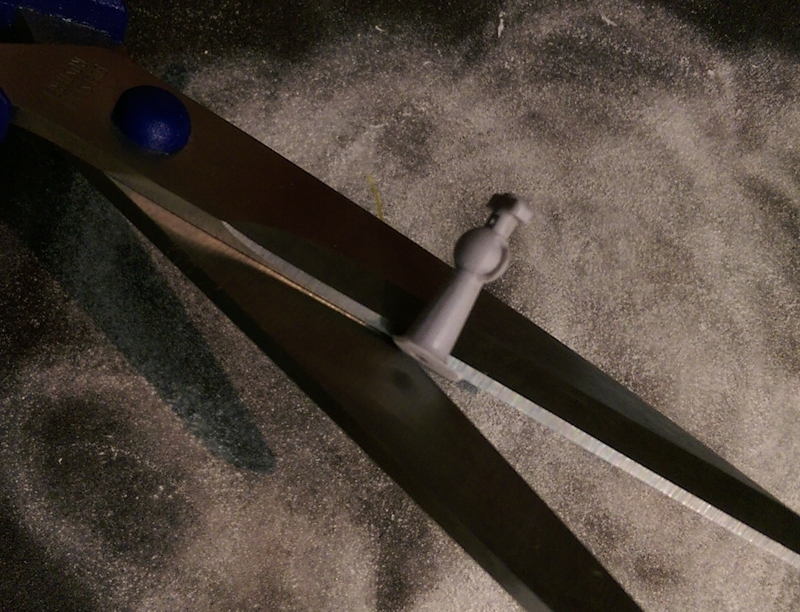 The thin lip that forms when the cap is almost all gone can be annoying but it can be cut off with a pair of scissors. 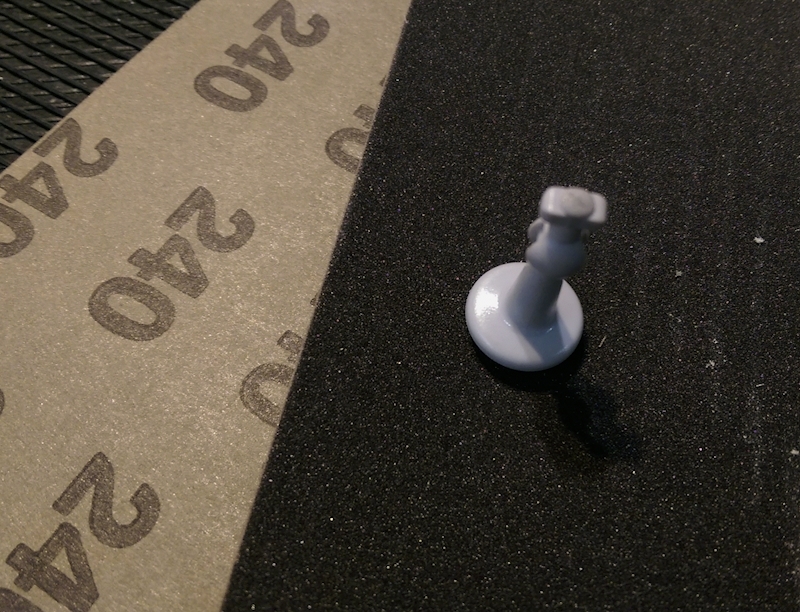 Once only a small bit of the underside of the cap is left, start sanding more slowly and make sure that the top surface you are creating is as flat as possible. i.e the stick should be standing perfectly straight when placed on a flat surface. Otherwise the new cap will end up at a wonky angle! Leave the stick slightly over length at this stage, we need to have a bit of material left to fine tune the stick height in the next step. We’re almost there! Time to bolt on a new cap and test assemble the joystick. Now we need to dial in the correct height of the stick and make sure we have enough clearance for the new caps. 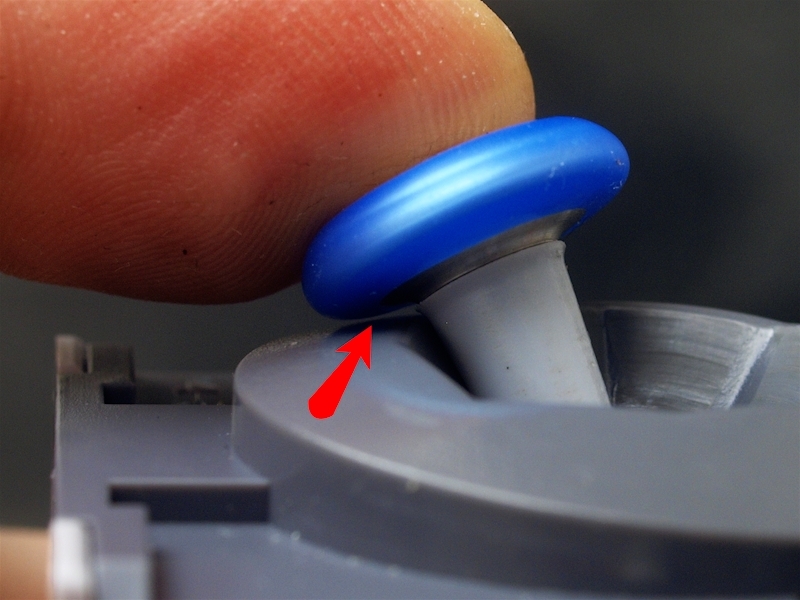 As the N64 stick components wear, the stick would drop down into the mechanism and the edges of the cap tended to rub on the outer joystick case, specifically in the upper corners. This is also a potential issue here but since we are determining the length of the stick ourselves we can make sure we get enough clearance there no matter the condition of the internal components. Bolt the new cap to the sanded stick, put the module together and push the stick into the Up-Left and Up-Right diagonal notches. Then look from the side of the module to make sure there is still a small air gap between the edge of the new thumbcap and the joystick case. If the gap is bigger than shown you’ll want to sand the stick down some more. Or maybe you want an extra long stick? See how it plays and experiment with it! Don’t be tempted to sand the stick down while it’s installed in the joystick module! You really don’t want to get sanding grit inside the joystick mechanism! Shown below is the kind of gap that I’m personally comfortable with. You especially don’t want the rubber caps to touch the case since it’s rather sticky and will make movement awkward in those notches. Just proceed slowly, removing a small bit of material at a time while checking both diagonals to make sure your cap is on straight. If you intend to use a few different caps with this stick, make sure that they all clear the case! We’re done! Enjoy your “new” joystick! 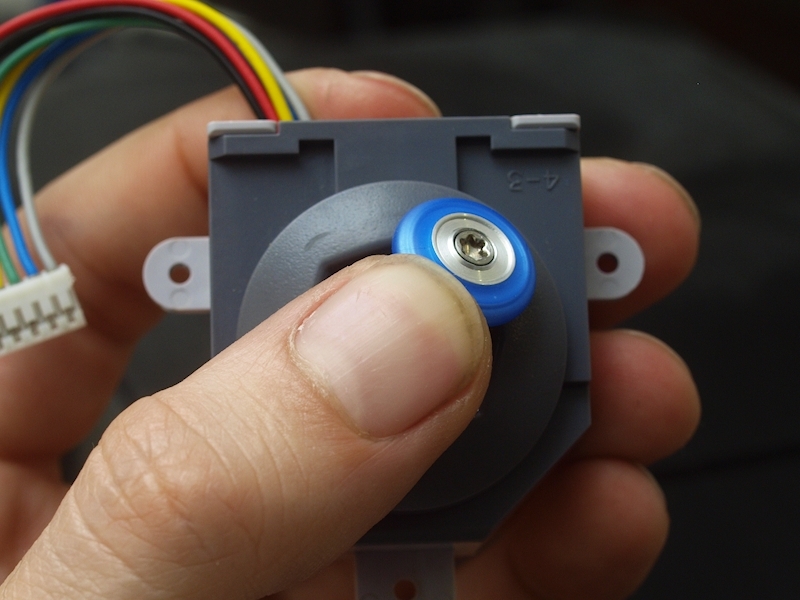 If you’re interested in giving this a go I’ve put together a special Thumbcap Mod Kit. You will still have to track down most of the tools yourself (for now?) 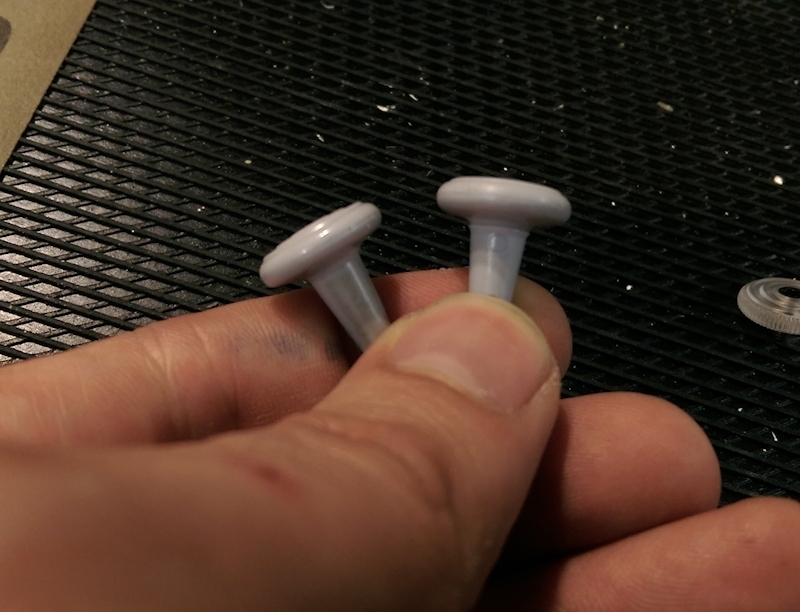 but you get a couple of caps at a discount, two worn OEM “Practice sticks” to experiment with and a T10 torx driver to set you on the right path.